The Canadian Dental Association recommends taking simple precautions to avoid common dental injuries and emergencies. Protecting your mouth with a custom-made sports mouthguard is a wise choice which can save you money and emergency dental treatment in the long run. 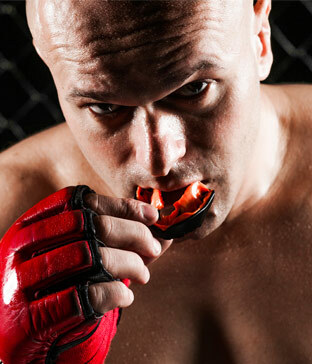 A properly fitted mouthguard can preserve your teeth and prevent tooth loss while playing your favourite sports. Custom fit sports guards have the advantage of providing the most comfortable, accurate fit for an athlete. They offer the most protection to the mouth when compared with cheaper “boil and bite” mouthguards which can deteriorate over time and cause pressure on cheeks and gums. As a dentist and a hockey player, Dr. Ducasse knows the importance of mouthguards and as a way to encourage his patients to wear one he provides this service free of charge. We are happy to assist you in custom making and fitting you with a sports guard to protect your teeth. Contact us today for a consultation and to book an appointment with Dr. Ducasse.